As ever, these articles are particularly beginner friendly but this article is for anyone looking for some inspiration of where to start their exploring a la Europe. While budget-friendly locations such as those that can be found in South East Asia seem an obvious choice for many new digital nomads, you certainly shouldn’t overlook this particular continent as there are some excellent places that deserve at least an eyeball…or two. The European digital nomad scene has been absolutely thriving for years, with a host of world-class coworking spacing, cheap apartment rentals and delicious food on offer – if you know where to look! So if you’re keen for a European adventure, read on for the hottest spots for digital nomads in Europe right now! Of course, your priorities as a digital nomad will vary – a lack of opportunities to get out into the wilderness may be a deal-breaker for you, for example, while someone else may be looking for a buzzing nightlife to let them blow off stress. Weather: Sunny pretty much year-round – in winter temperatures barely drop below 10°C. Internet: 13mbps. Many cafés have free WiFi, and many digital nomads also work out of their apartments with relatively fast internet connection. Safety: Lisbon is considered a very safe, peaceful city without any major safety risks. Accessibility: Lisbon has a great public transport networks including buses, trains and trams. Uber is also very popular in Lisbon, with reliable, quick drivers and very fair prices. Local SIM: The local SIM is MEO – a must-have if you’re in the city for more than a few days! WiFi Cafés: Lisbon has many WiFi cafés to choose from – head to Barrio Alto to set up in a trendy cafe and watch the tourist hustle and bustle go by! Community: There is an excellent digital nomad community in Lisbon, with a high focus on work as much as there is on having fun! 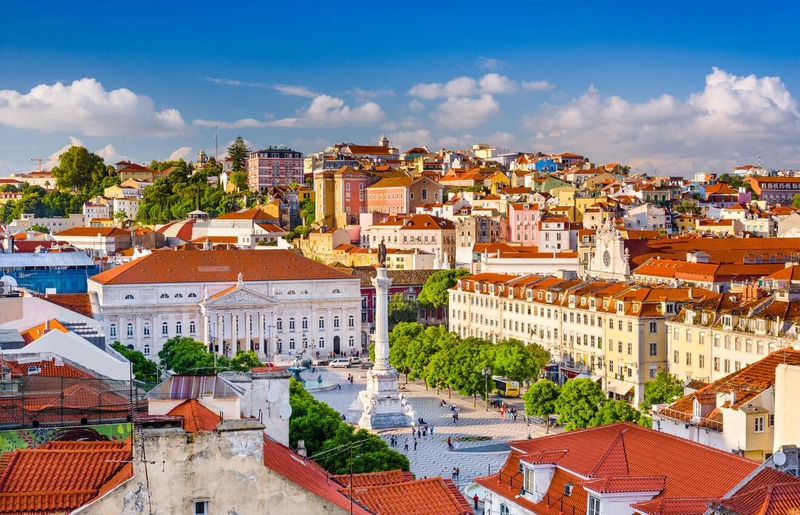 If you’re looking for a beach side location with a little more drive than the typical laid-back attitude of coastal retreats, Lisbon is a place you could settle for the long-term. Quality of life: Lisbon is one of the few European cities with prices similar to that of South East Asia, meaning many digital nomads live an extremely good quality of life here. Just be sure to avoid tourist traps which hike up the prices of food without adding any more quality! Nightlife: Lisbon has a great work-life balance with many opportunities to let off steam in your down-time. Head to Barrio Alto for bargain Happy Hour deals until the early hours. Things to do: What isn’t there to do! Spend your days off exploring local beaches, surfing world-class waves, hiking, shopping, touring the city and more! Best area: Barrio Alto is the main tourist area and is great if you want to be in the centre of the action. Alternatively, the Alcantara are is budget-friendly, packed full of trendy bars, restaurants and shops, and home to the popular Cowork Lisboa. Cost of living: Between $1,000 – $2,000 a month all in, depending on how much you live it up! English speaking: Many locals will speak English and you’ll find no shortage of English speaking nomads – but it never hurts to learn the local language either! Visa: If you’re a resident of an EU country, you can stay in Lisbon indefinitely. If you’re from Canada, America or several other countries, you’ll receive a free 90 day visa upon arrival to the country. 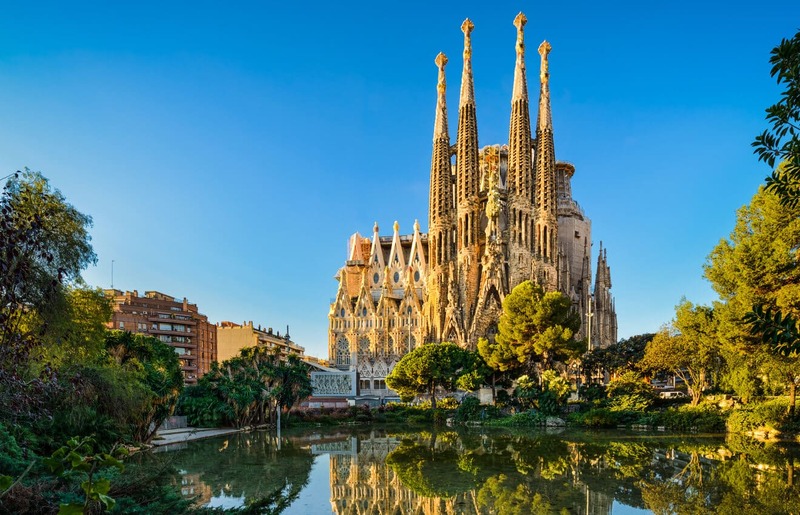 Spain is known for it’s almost year-round sunny weather, great cost of living, and lively culture, and Barcelona is a thriving example of all three of those things! Known for it’s beautiful architecture, chilled vibe and world-class nightlife, Barcelona is a great place for digital nomads looking to immerse themselves in the hustle and bustle of city life. Weather: Barcelona’s climate is great almost year round. The best time to go is typically from May to July, with August and September much hotter, and cooler but still pleasant temperatures in the Winter! Internet: Barcelona has excellent internet speed all over the city. Safety: Barcelona is typically considered a safe city, but people considering visiting should be aware of that there is a heightened threat of terrorism following the attack in Las Ramblas in X. This does mean that you may see an increase in police presence across the city. Accessibility: There is an excellent public transportation network throughout the city, meaning you can get straight from your office of the day to the beach in under 30 minutes – perfect! Local SIM: You can pick up a Movistar SIM card for around $25 for 2GB of data. Coworking: Digital nomads will be pleased to know that there are many great coworking spaces throughout the city! Highlights include Cloud Coworking, Betahaus,Crec, and MOB (Makers of Barcelona), a 1,000 square metre space located in an old textile factory. WiFi Cafés: There are no shortage of trendy cafes offering free WiFi throughout Barcelona, so settle in with some local tapas and a hot coffee to get your work done. Community: There is a decent entrepreneur and digital nomad scene in Barcelona, especially within the tech industry, but you may have a harder time finding like minded people compared to more well-known remote working locations such as Chiang Mai and Lisbon. Be sure to make the effort to attend local meetups and coworking events to find your tribe. Quality of life: Barcelona is a popular and thriving city, and that means that the cost of living can be quite high. The more you’re earning, the better a quality of life you’re going to have in this city – that being said, the X area is popular amongst students and will typically have cheaper food and rent available. Nightlife: Whether you prefer a smooth glass of red wine in a quiet little bar, or a thumping all-nighter, you’ll find nightlife to suit your tastes in Barcelona. This city is the perfect location to let off some steam after a few hard days of work and dance the night away! Things to do: Eat! Barcelona is full of wonderful little restaurants, so dedicated days to exploring the neighbourhood and delighting your gastronomical senses! Aside from that, be sure to visit Park Guell, go hiking in the nearby mountains, check out the local beaches, and even try to blend in with the trendy skaters along the beachfront! Best area: Sant Marti is a popular location for digital nomads due to the many co-working spaces, beautiful parks and several beaches to pick from! Other popular neighbourhoods include Gracia, and the Exiample quarter. English speaking: Non-Spanish speakers will not have a problem navigating Barcelona, but do brush up on your Spanish skills to properly immerse yourself in the local community. Visa: The Spanish Entrepreneurial Visa gives entrepreneurs the ability to obtain Spanish residency. Alternatively, non-EU passport holders can enter the country on a 90-day free visa. Berlin is arguably one of the best cities to live in Europe and one of the top digital nomad locations in Europe too. It is one of the very first cities to become popular with digital nomads, and it remains a firm favourite for good reason. The cost of living here is competitive, with a thriving tech industry drawing in talented digital nomads from all over the world. Also not to be missed is the crazy nightlife! Weather: Typically a mild climate, with highs of 18°C in July, and typically dropping to -1°C in the coldest month of January. Best times to go are April and May, or September through to October. Safety: Berlin is considered a very safe city to work and live in – just be sure to take the usual precautions you would when travelling anywhere. Accessibility: Berlin is easy to navigate and has a great public transport system to help you get around the city when needed. Local SIM: SIM cards are available all over the city. One of the most popular providers is Ortel, available for around $20 for 5GB. Coworking: Berlin is full of great quality coworking spaces with a thriving remote working community. Ranking number one is Betahaus, with other popular options including Unicorn, St Oberholz and Agora. WiFi Cafés: Likewise, Berlin has a huge selection of WiFi cafes to choose from so you’ll never find yourself without a great place to work. Popular spots include St Oberholz cafe and The Visit. Community: The digital nomad community is thriving in Berlin, hailed as the hub of entrepreneurship in Europe. There are no shortage of opportunities to meet likeminded people in coworking spaces, organised events and more – and not to mention while you’re out on the town! Quality of life: The cost of living in Berlin is a little higher than some other popular locations, but compared to other major European cities, the rent and food prices are an absolute steal! Nightlife: Berlin is famed for its excellent nightlife, with trendy bars to packed nightclubs playing music all the way from the 60s to modern day – so you’ll be sure to get to play just as much as you work in this city. Things to do: One of the best things to do as a newly-arrived digital nomad in Berlin is to simply explore the city. 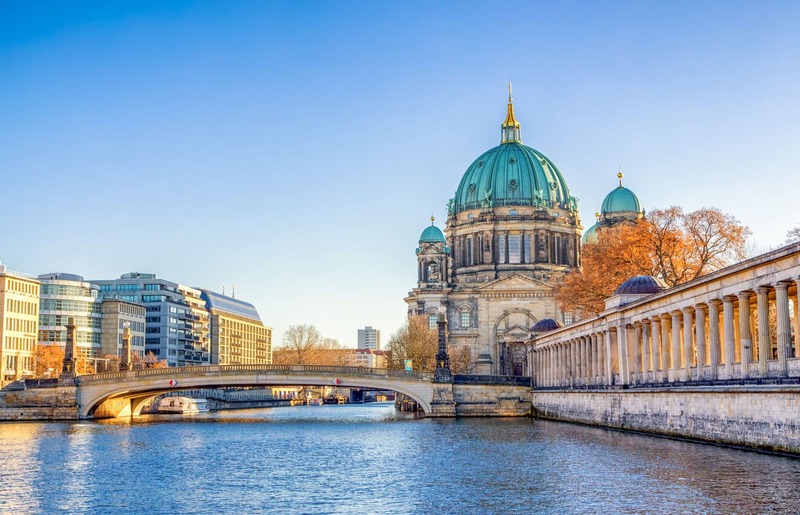 Berlin is packed full of amazing street art, beautiful architecture (don’t miss the Berlin cathedral! ), and super trendy neighbourhoods perfect for spending a day shopping, sipping on lattes and just enjoying the vibe of the city. Best area: Popular areas for digital nomads and entrepreneurs include Neukölln, Kreuzberg and Friedrichshain. Cost of living: €350-€450 for a room in a shared apartment, although renting your own apartment will be considerably more. English speaking: Yes, you’ll have no problems navigating this thriving multicultural city as an English speaker. Visa: It is relatively easy to obtain a freelancing visa in Berlin – many expats apply for the ‘artist visa’ which allows you to stay long-term in the city and do only freelance work without committing to a full-time job and sponsor. Have any of these amazing European digital nomad cities grabbed your attention? Let us know what your next destination is in the comments below! If you’d like to keep up to date on where we’re going, don’t forget to leave your name and email address. Otherwise we bid you Happy Travels!